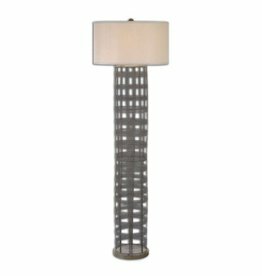 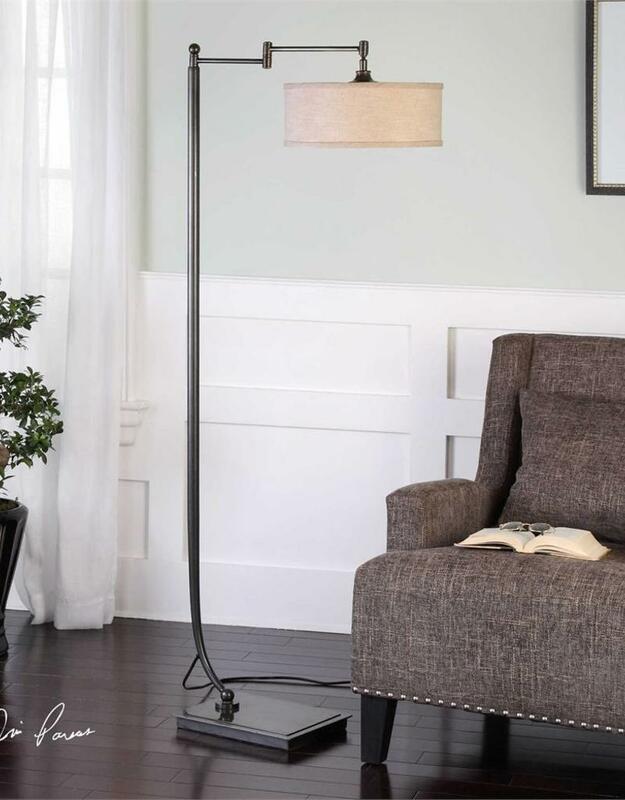 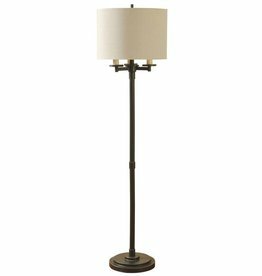 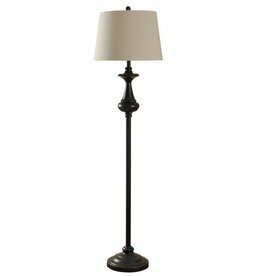 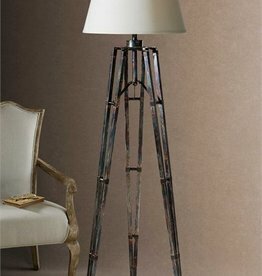 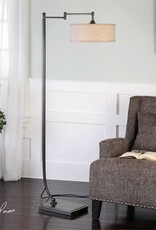 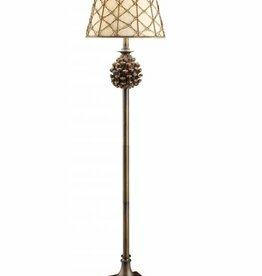 Tapered metal base finished in a plated dark bronze accented with an oxidized bronze foot plate featuring a pivoting shade arm. 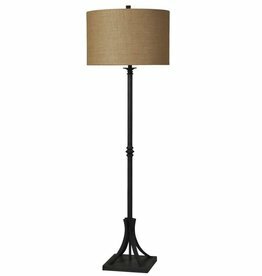 The suspended round drum shade is a beige linen fabric with natural slubbing. 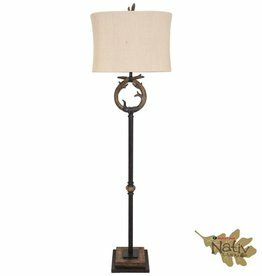 Natural woven rope sphere accented with rust brown metal details. 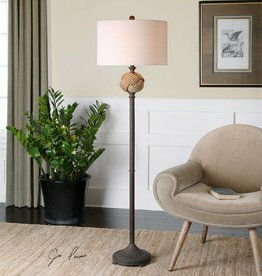 The round hardback drum is a light beige linen fabric with natural slubbing.